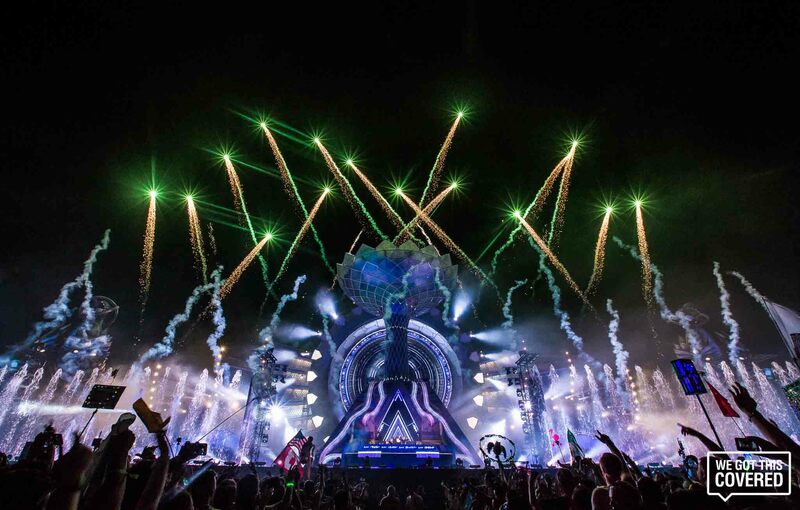 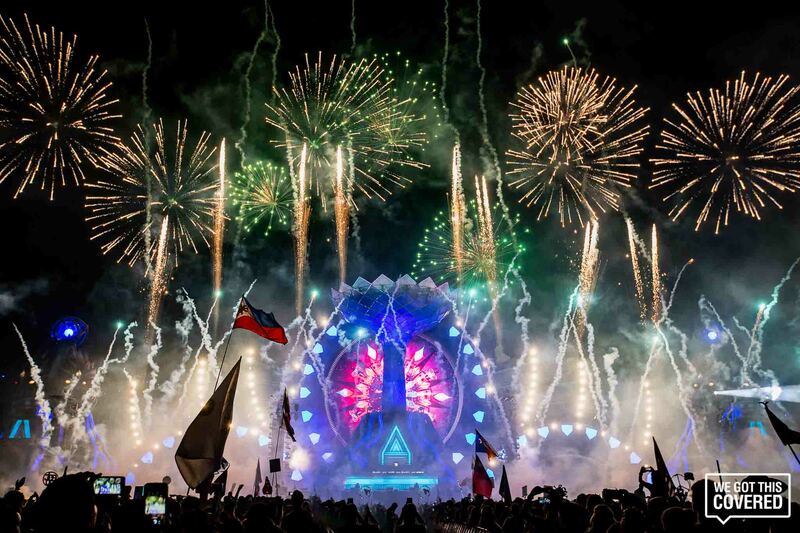 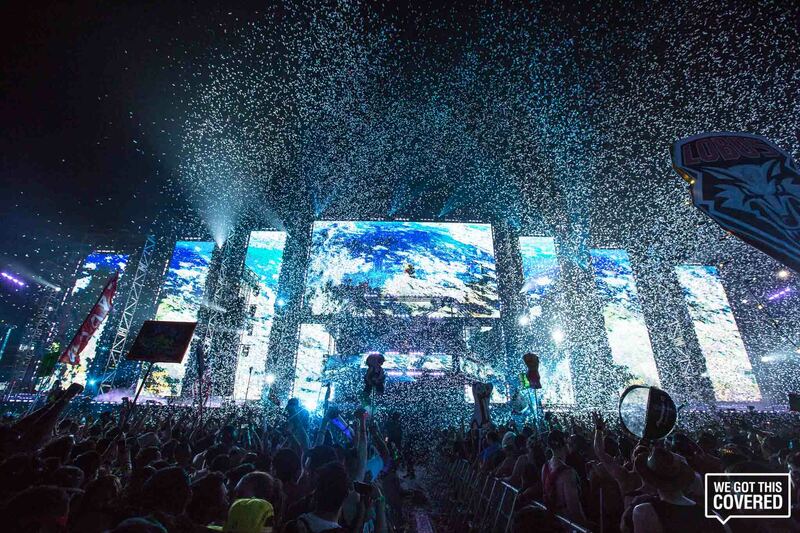 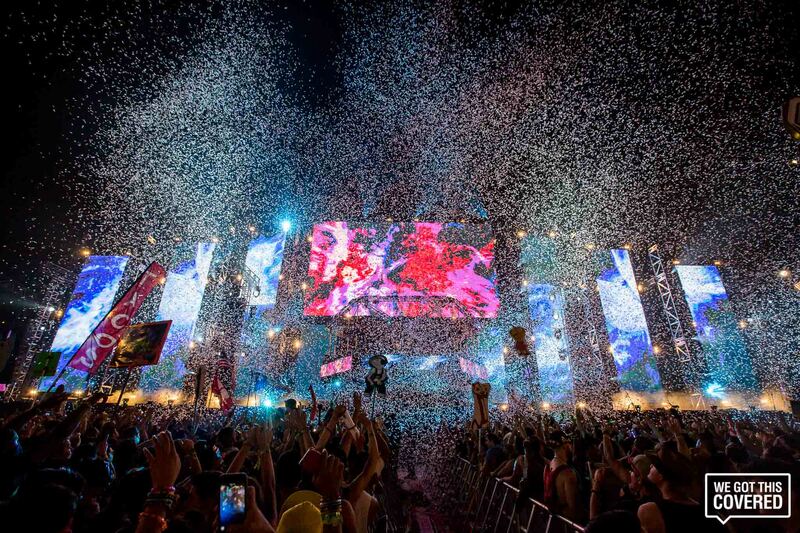 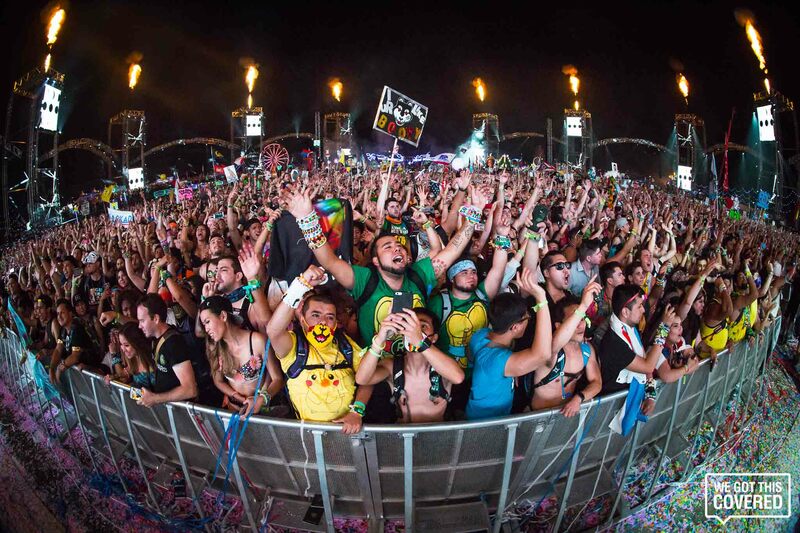 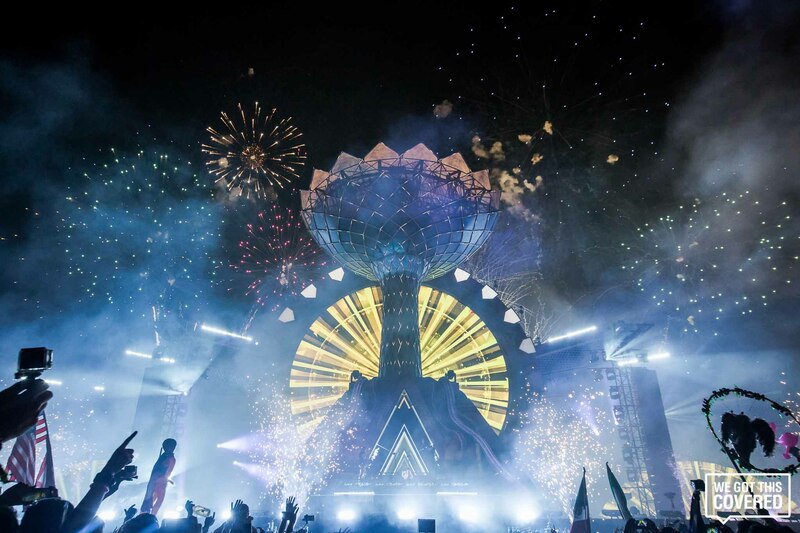 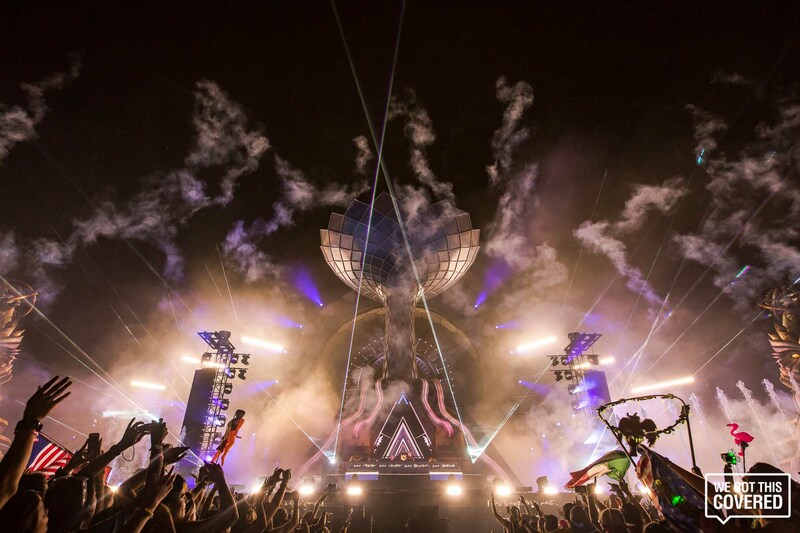 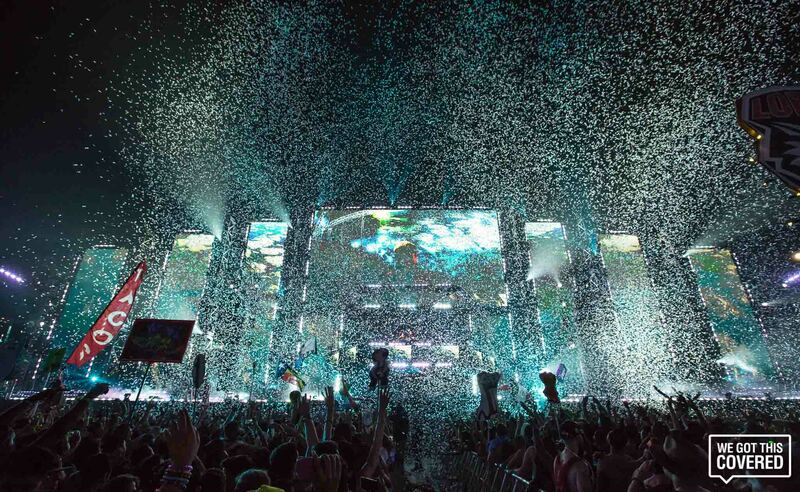 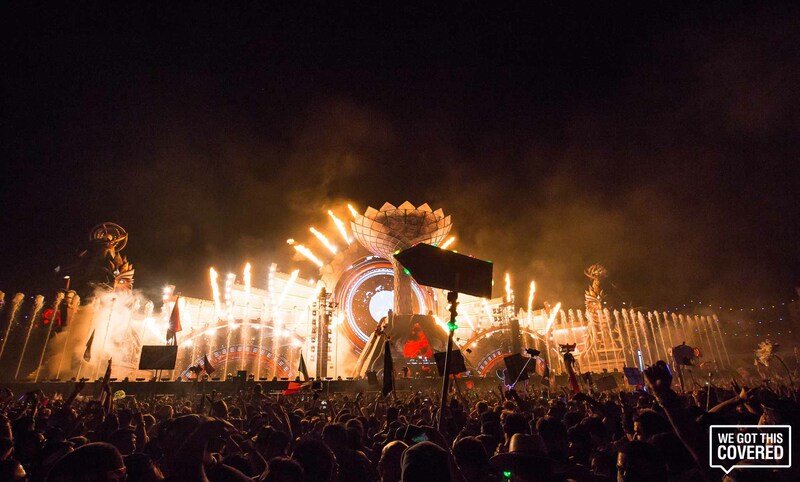 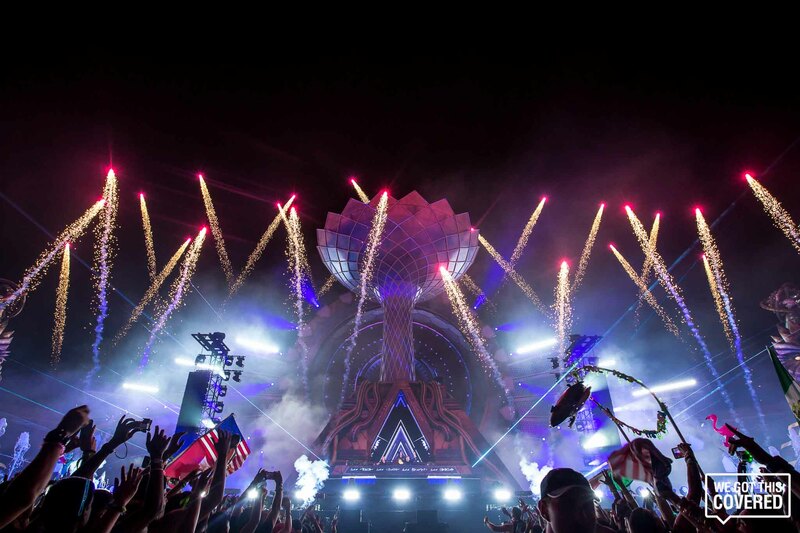 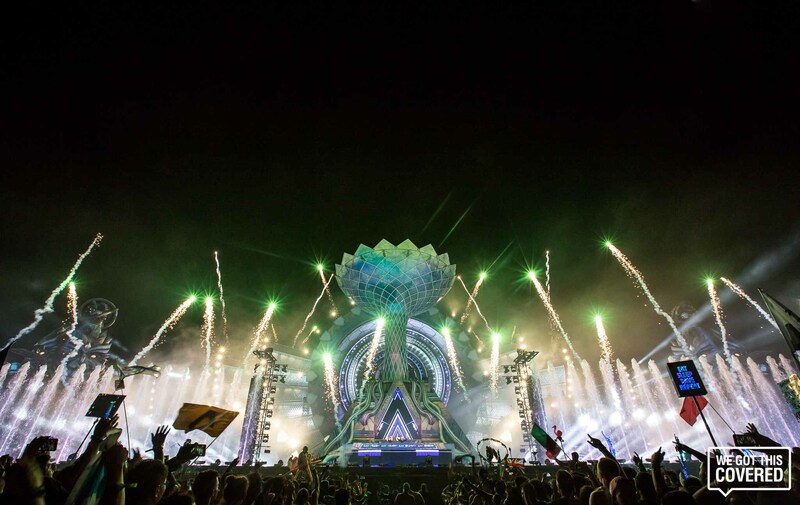 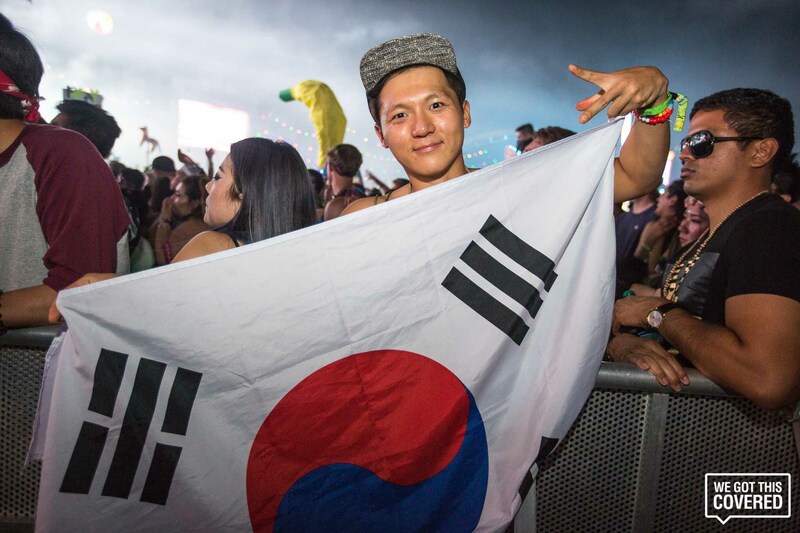 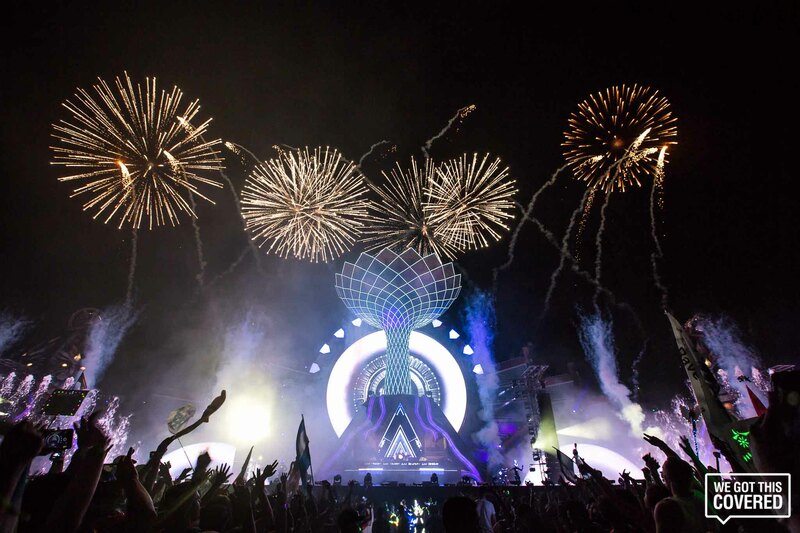 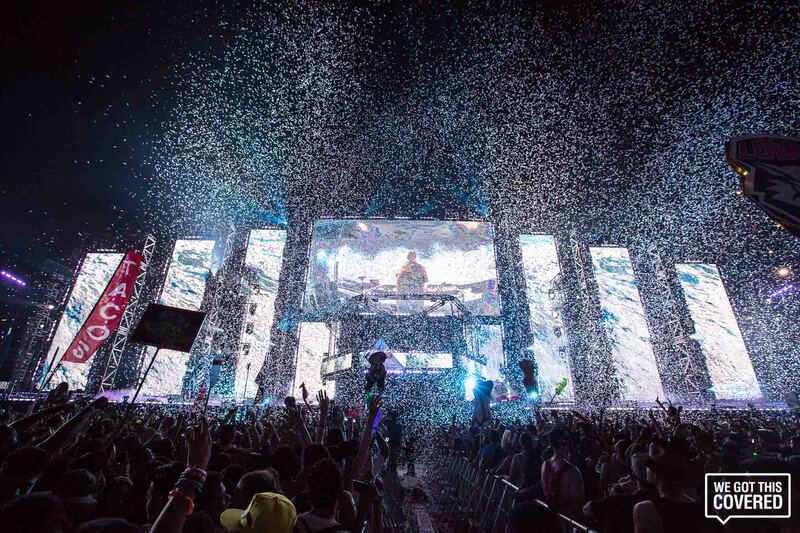 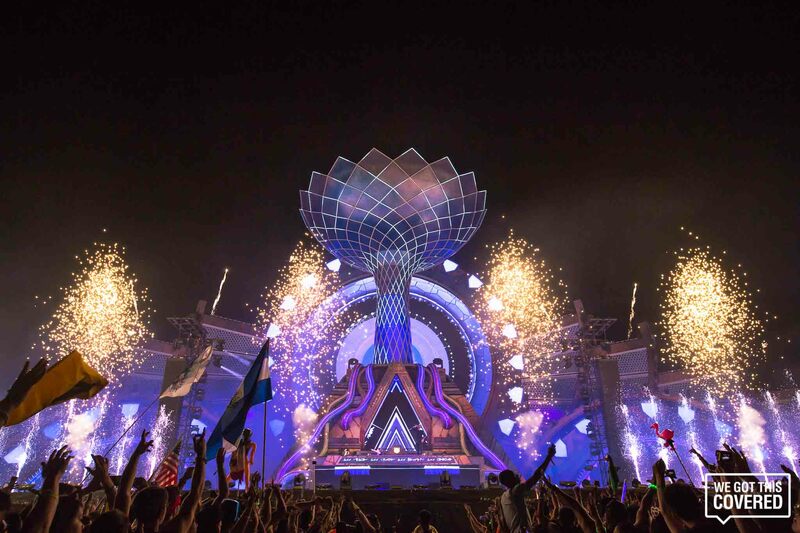 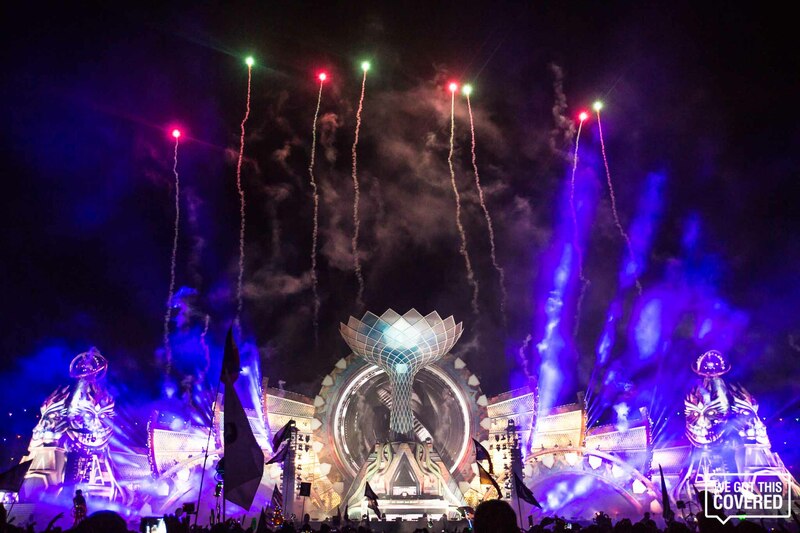 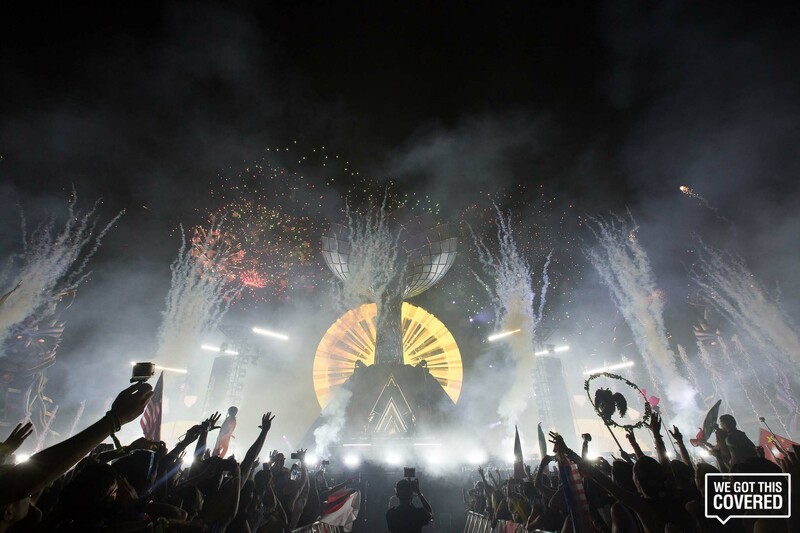 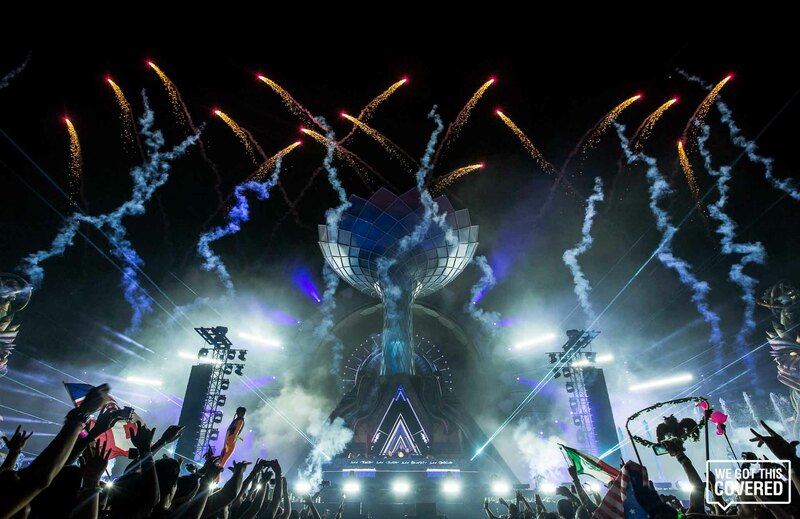 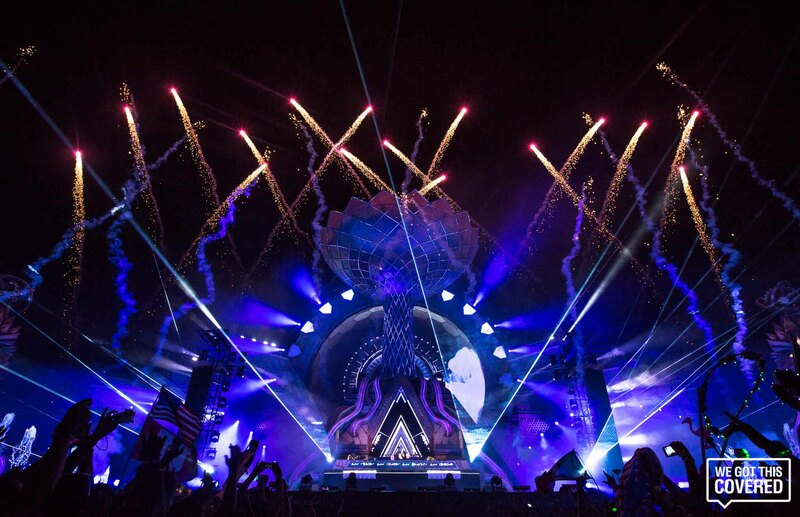 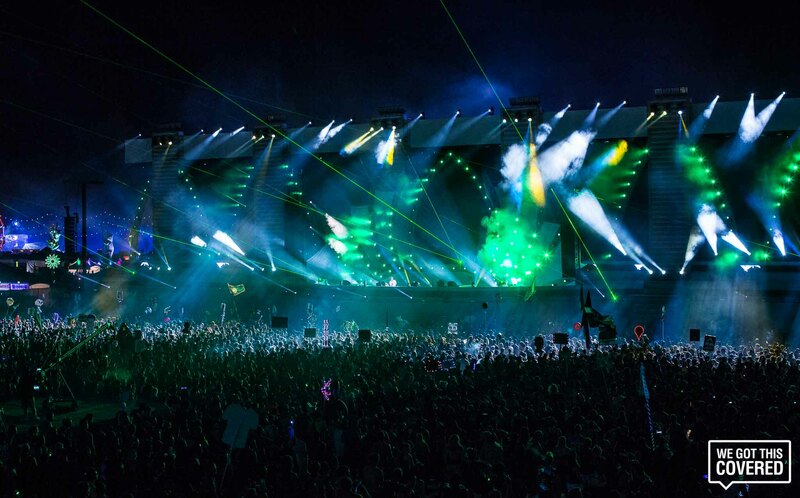 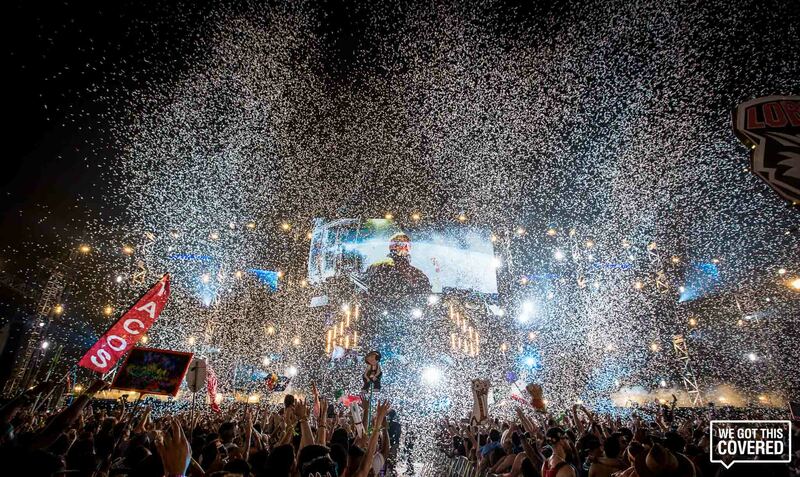 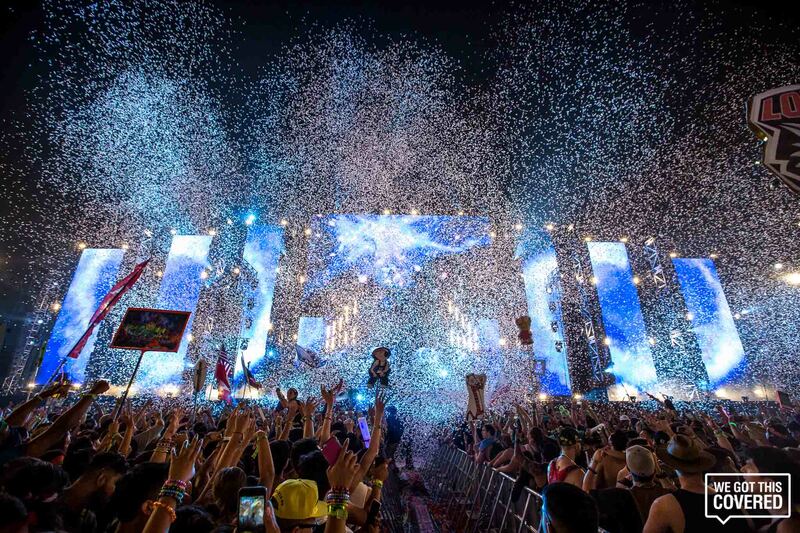 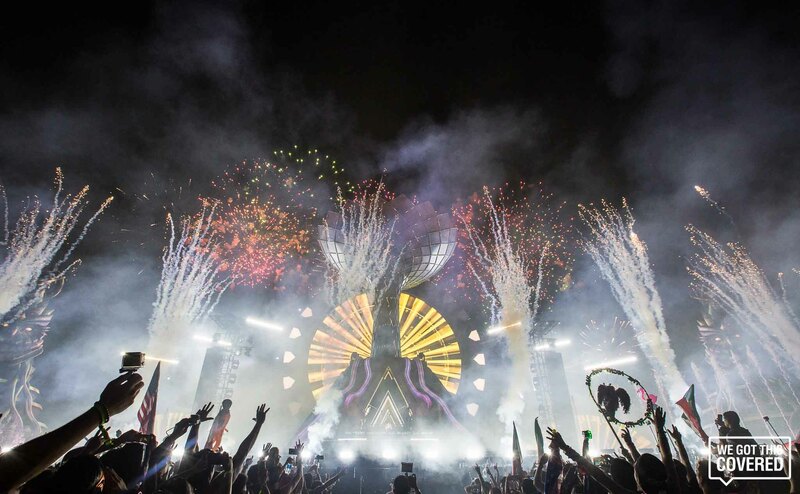 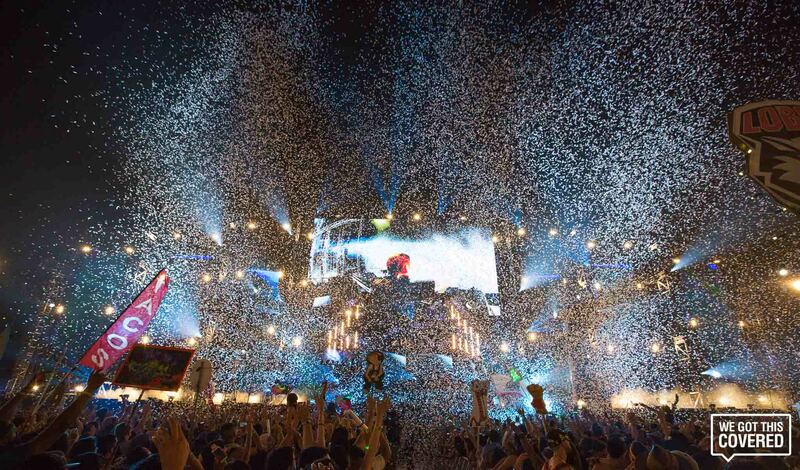 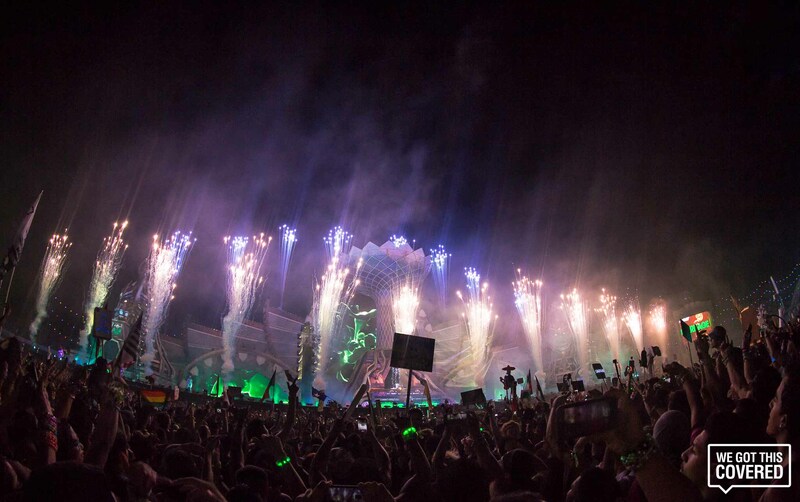 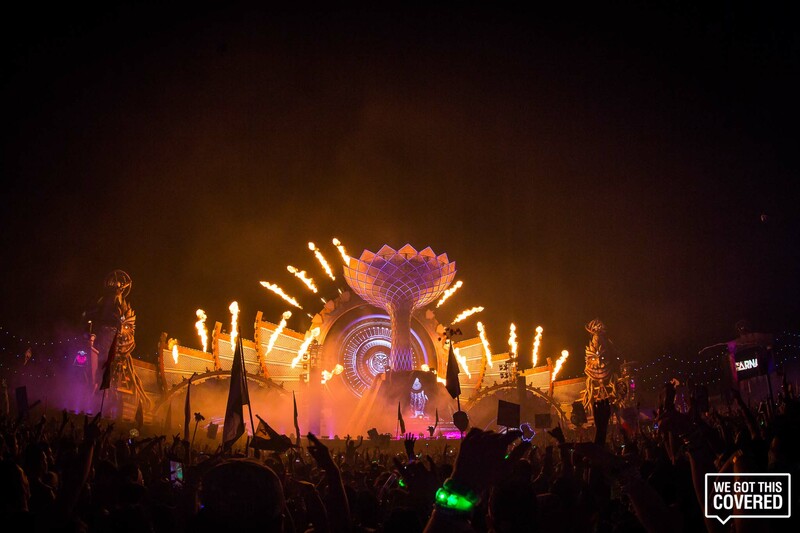 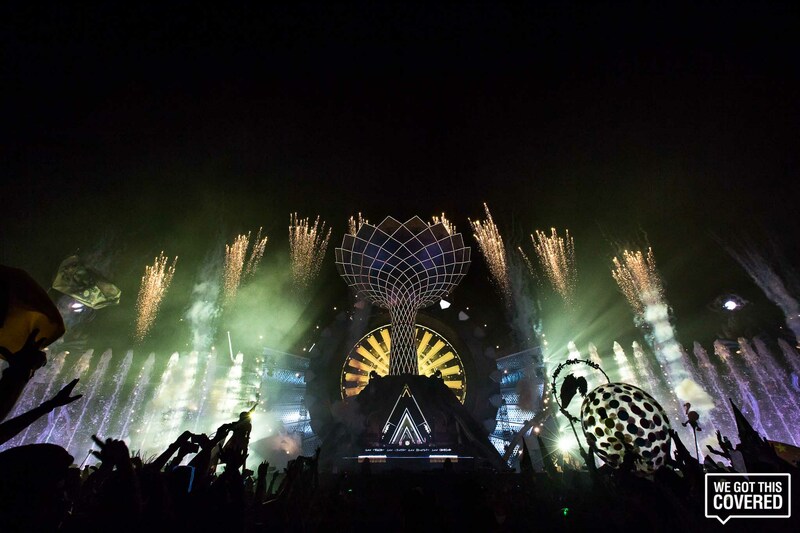 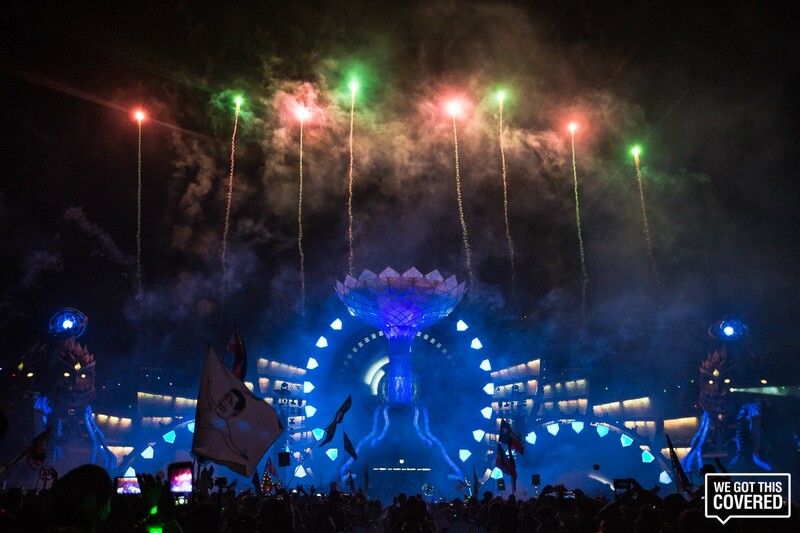 If the buzz is any indicator, EDM is on its way out – but anyone who attended the 2016 edition of Electric Daisy Carnival (EDC) Las Vegas last weekend would likely tell you otherwise. 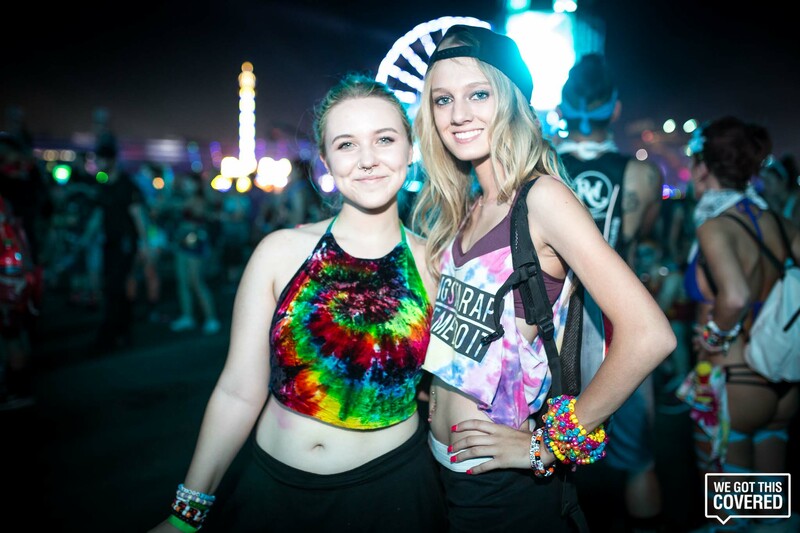 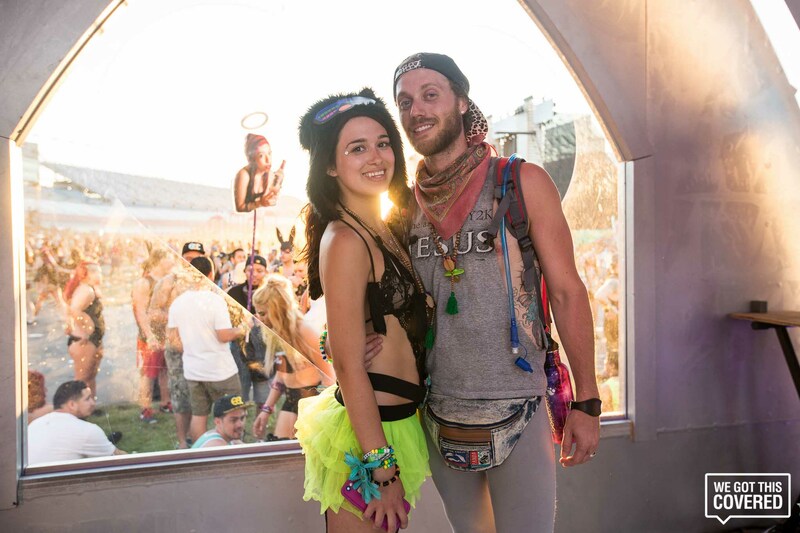 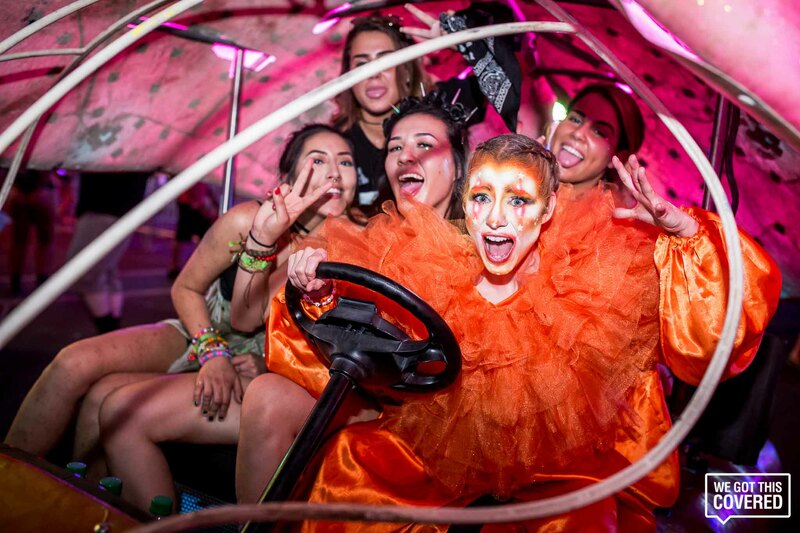 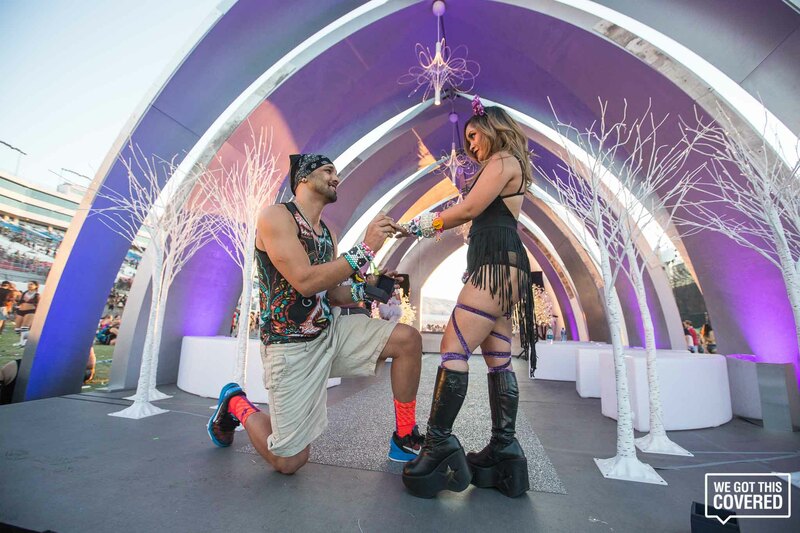 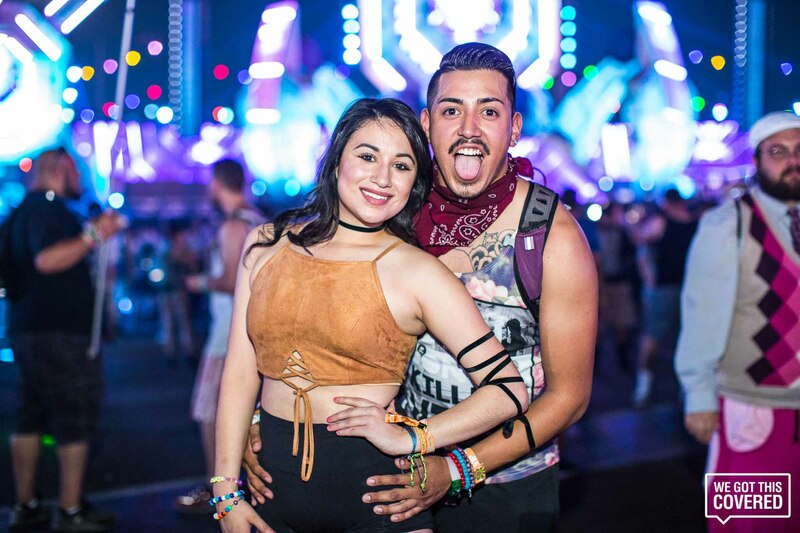 Insomniac Events organized a magnificent 20th anniversary celebration for its flagship festival, going to great lengths to ensure that those in attendance would look back on the landmark event with a special fondness. 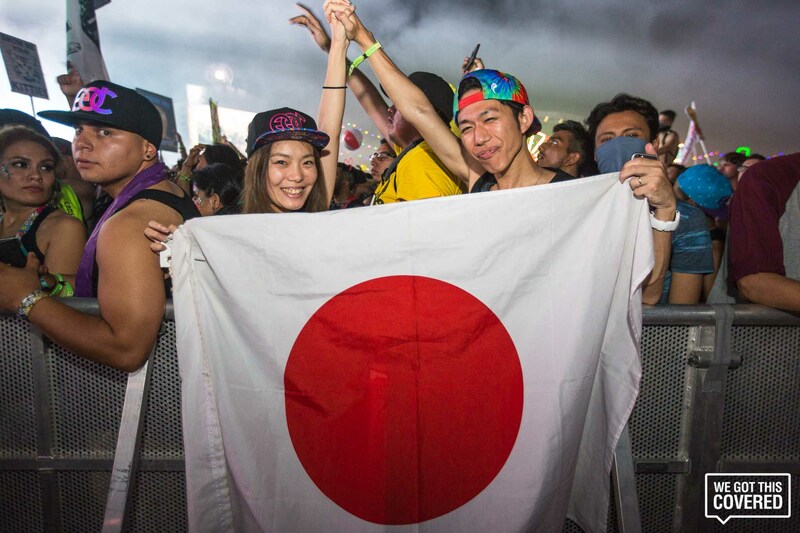 After all, there were quite a few of them to witness what took place. 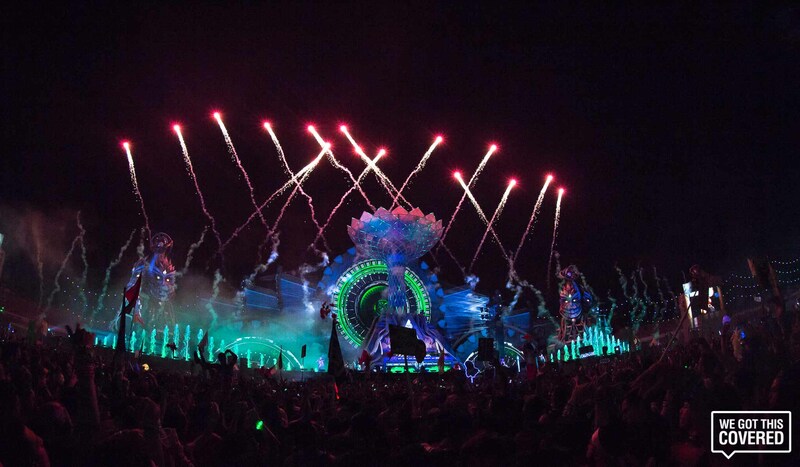 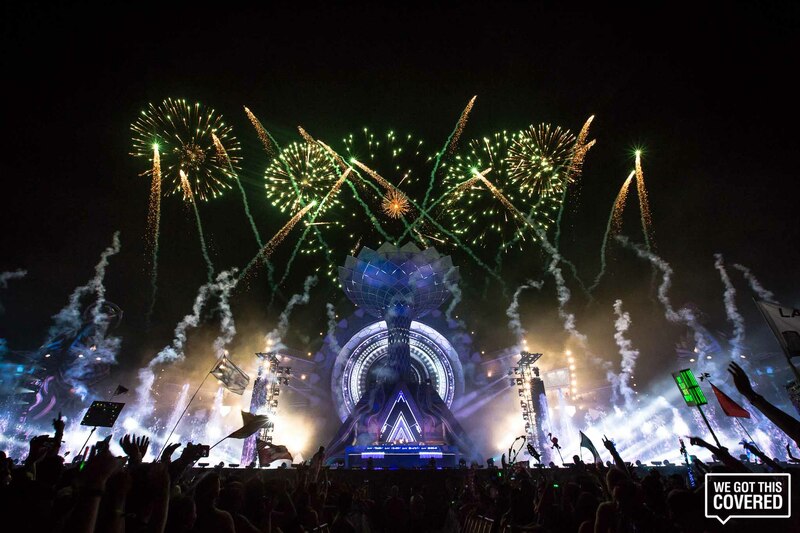 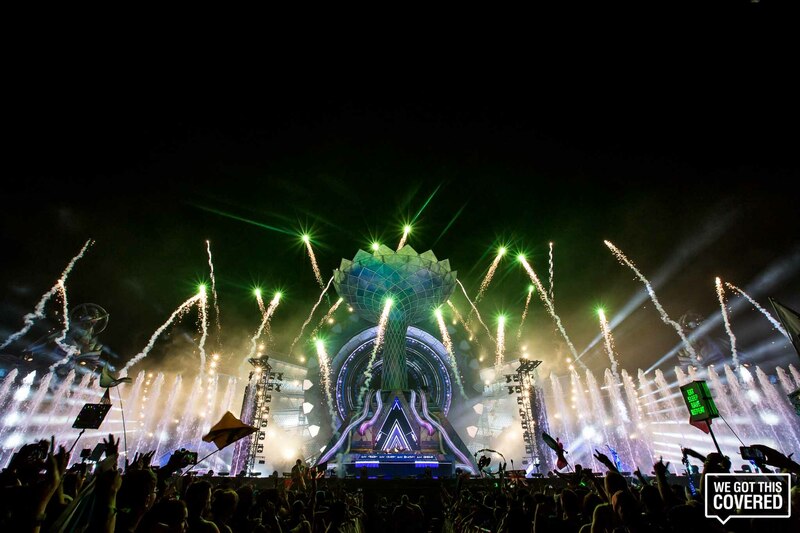 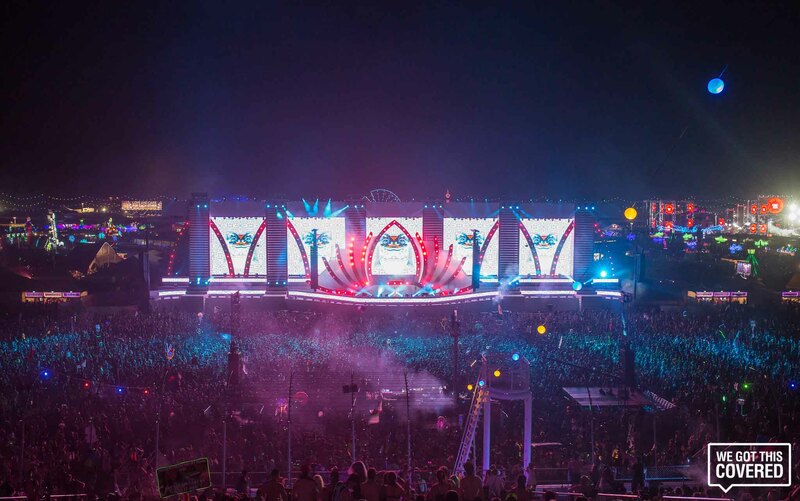 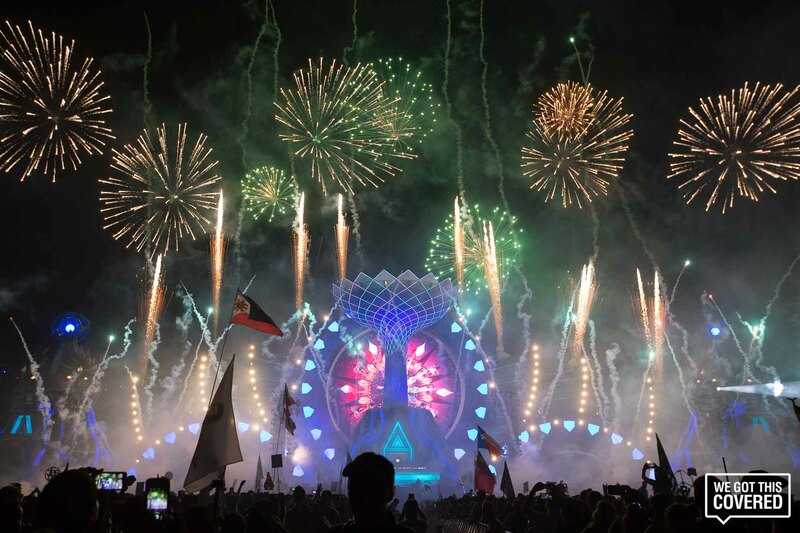 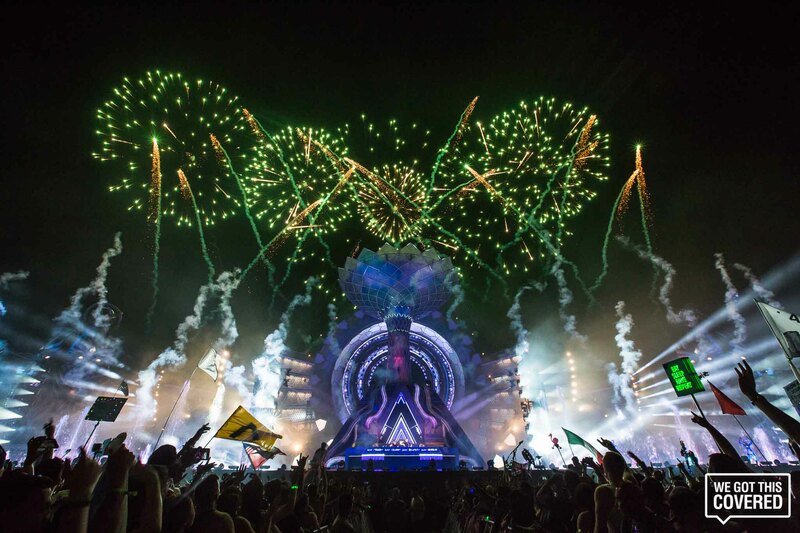 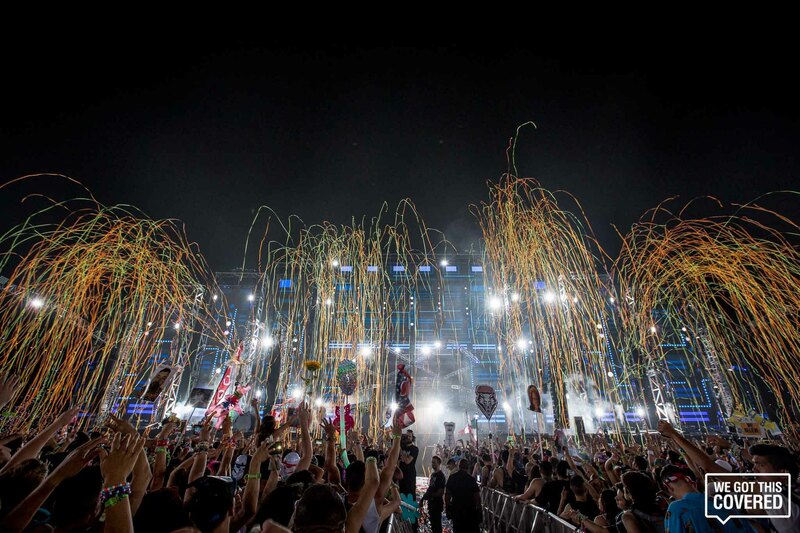 EDC 20’s organizers reported that three-day attendance broke the 400,000 mark for the second time in the festival’s history, although it took two months longer for this year’s edition of the festival to sell out than that of last year. 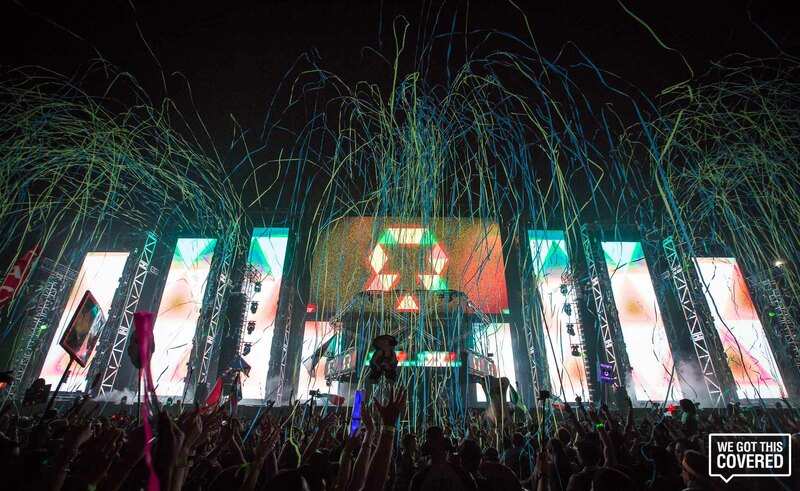 The festival nearly came to a close with zero reported fatalities for the first time in three years, but tragically it has since come to light that one as-yet-unnamed attendee passed away on Wednesday after collapsing in the shuttle line and being hospitalized. 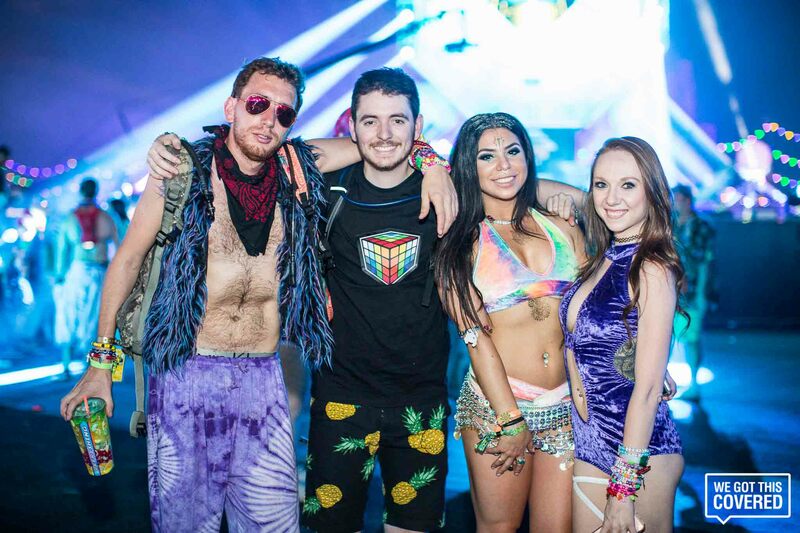 Events at nightclubs throughout the Las Vegas Strip transformed the city into a veritable electronic music Mecca for several days leading up to the event – and even a couple after, for those with the stamina to keep on partying after three consecutive all-nighters. 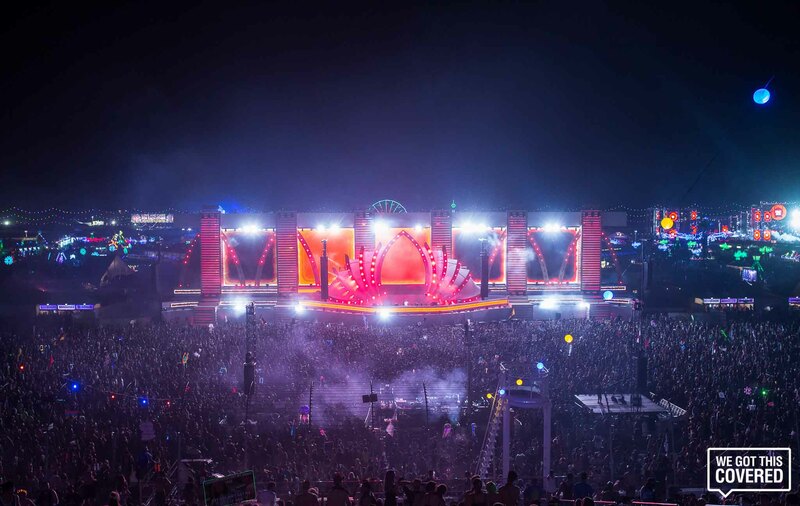 Where the EDMBiz conference and much of Insomniac’s more internal functions took place at the Cosmopolitan of Las Vegas in previous years, they set up home base at Caesar’s Palace this time around. 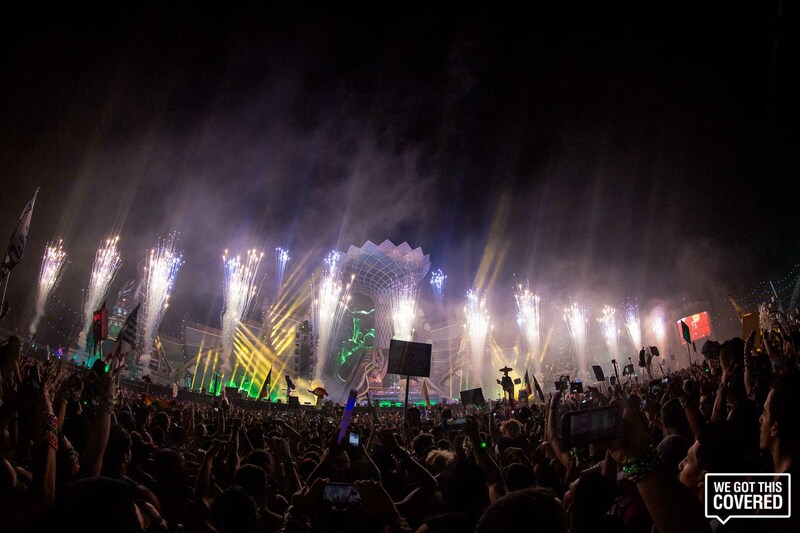 However, no EDC weekend affair could ever be as thoroughly enchanting as standing under the “electric sky” itself. 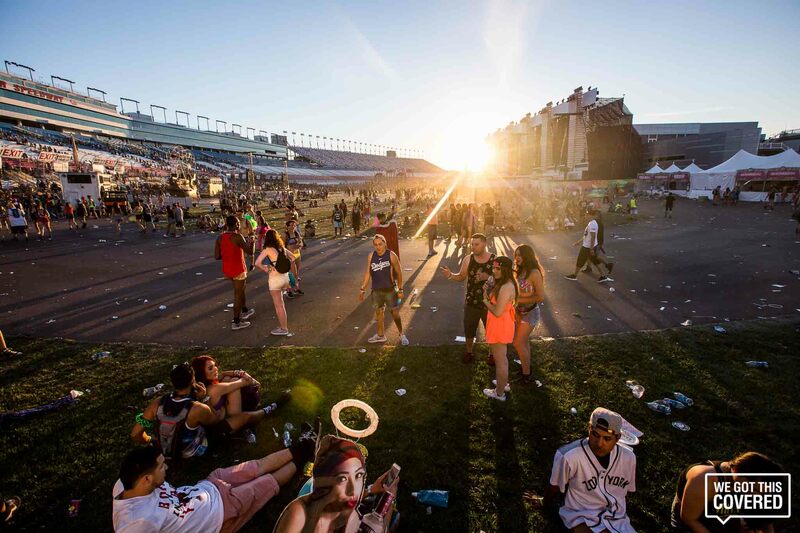 After navigating the heavy traffic leading from the Strip to the Las Vegas Motor Speedway, attendees must wait in long security lines before making an uphill climb to each gate. 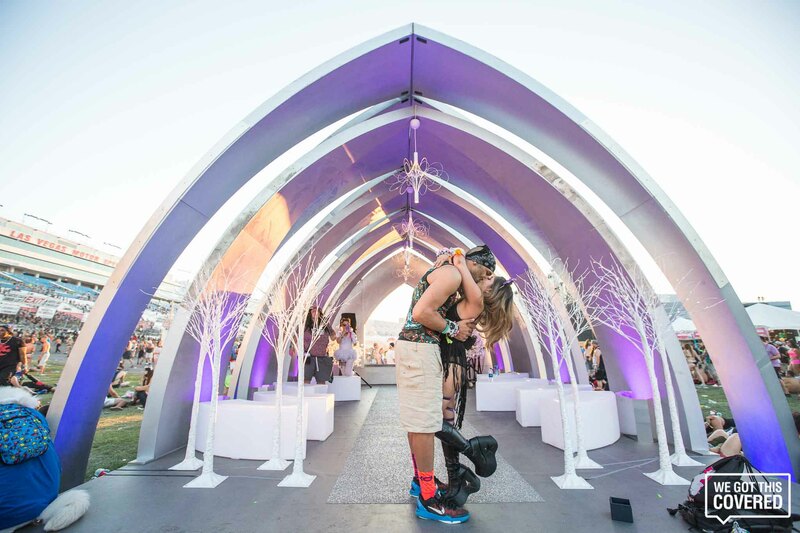 After that, though, stepping out onto the festival grounds is like crossing over into a dreamscape at the very edges of your imagination. 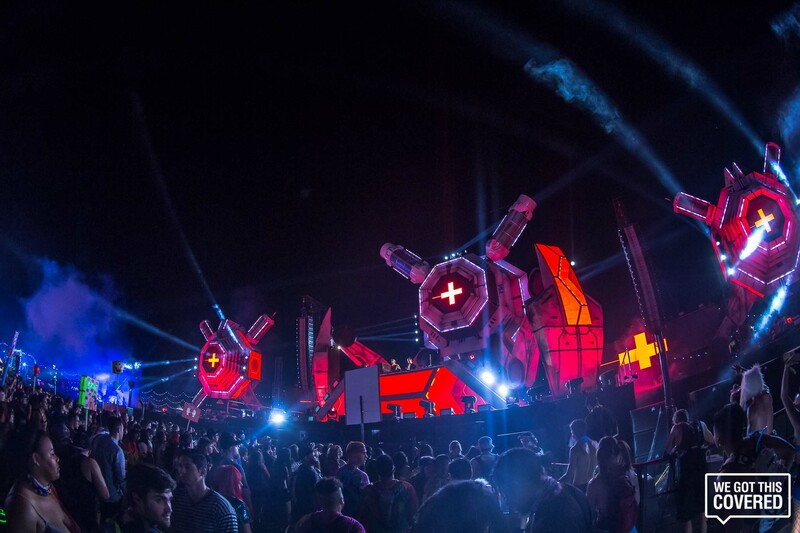 Serving as beacons to guide each reveller along on their journey through the painstakingly crafted fantasy world were nine freshly-designed stages that each reflected a different facet of electronic music culture. 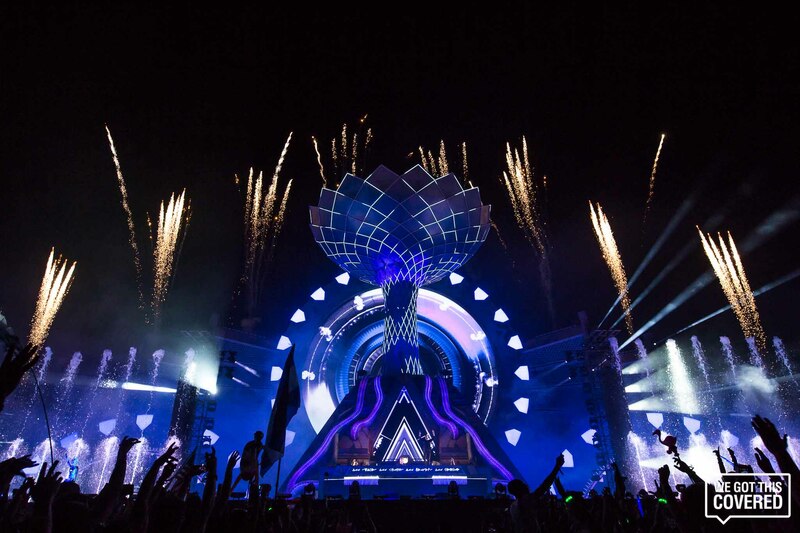 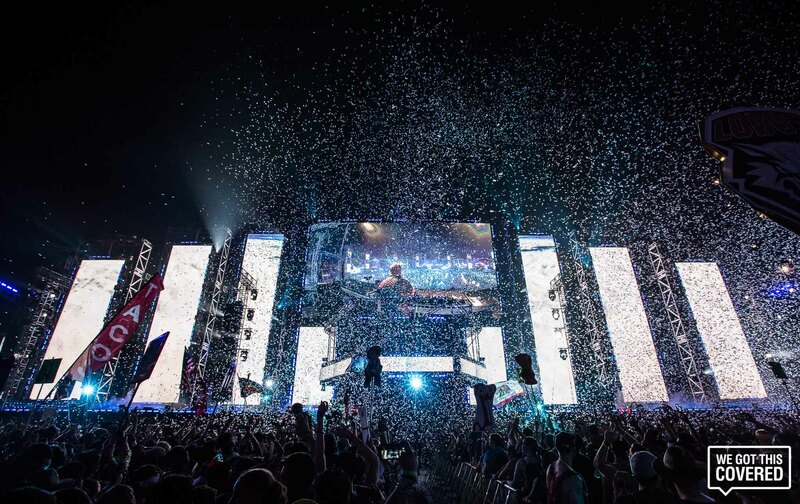 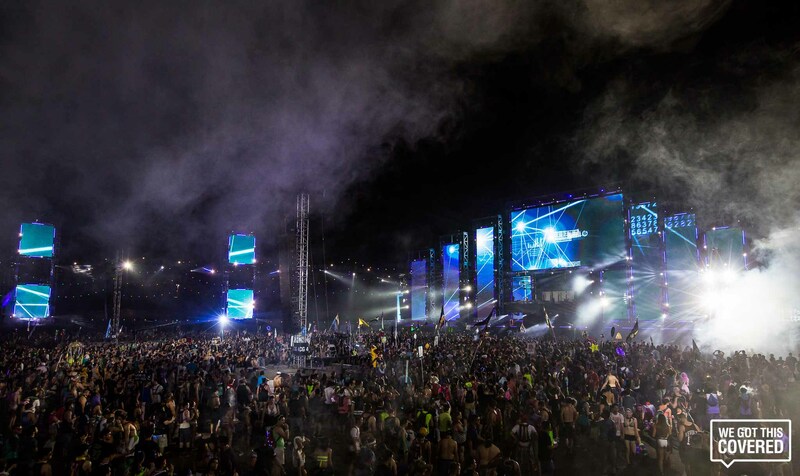 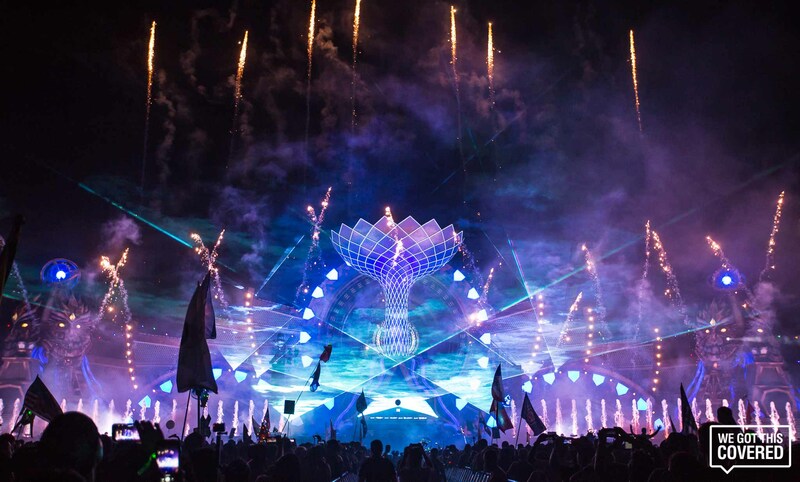 As you walked down the steps from the gate, you were met with the panoramic LED wall of the CosmicMEADOW stage, which hosted a worldly talent pool diverse enough to include the likes of Martin Solveig, GTA, Chris Lake, 4B and Hermitude. 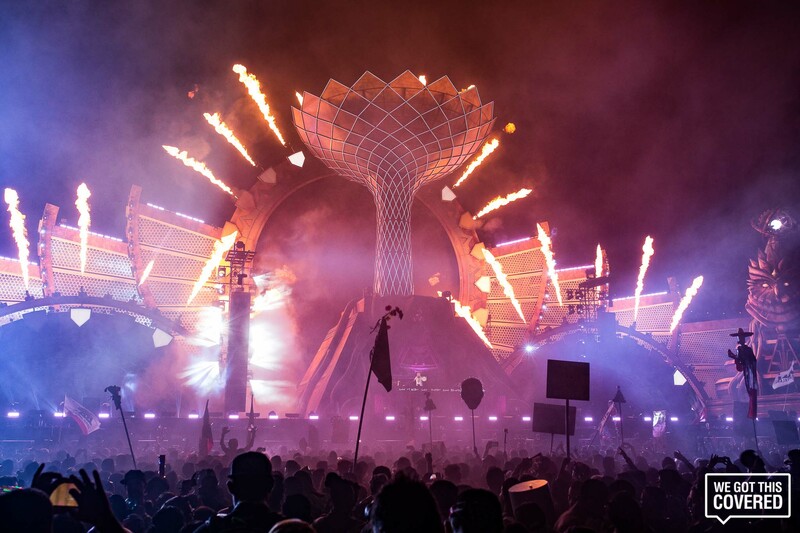 If you walk under the chutes and ladders of the Sky Bridge to the left of CosmicMEADOW – where Kaskade played a surprise Redux set at the end of Day 1 – you found yourself at the Upside-Down House, which catered to fans of dance music’s origins. 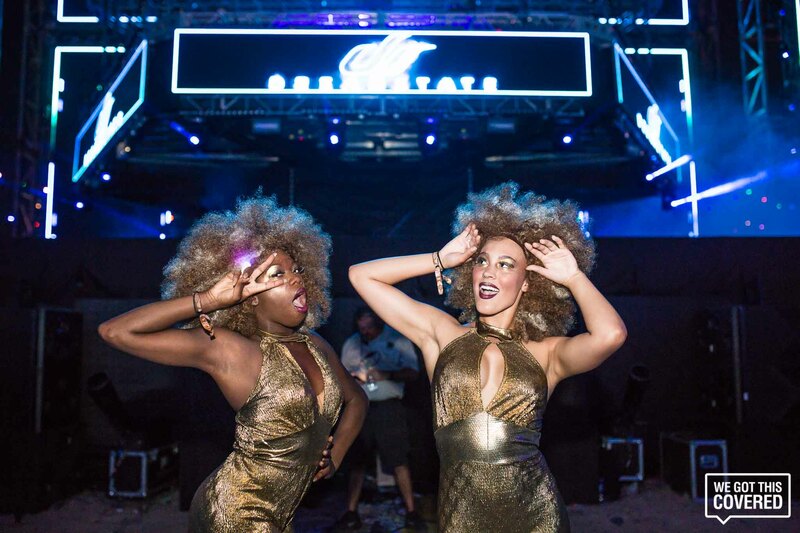 In particular, the stage’s Day 3 talent roster particularly made for a trip down memory lane as it featured house and techno mainstays such as Ron D Core, DJ Dan, Derrick May and Juan Atkins. 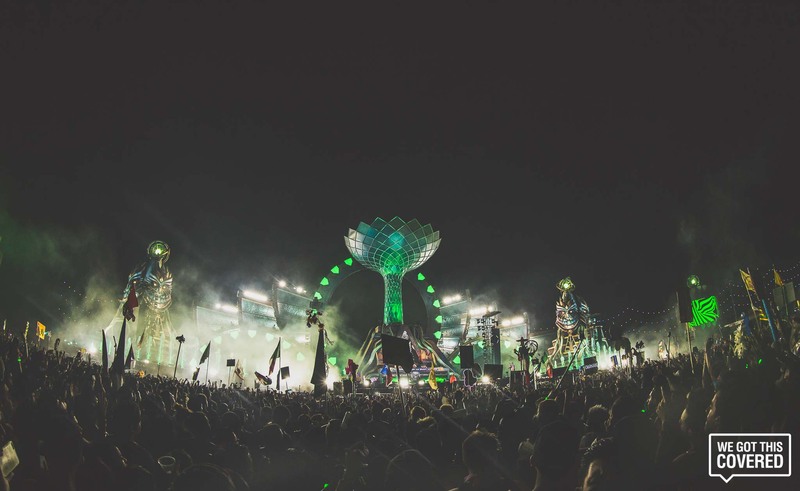 However, if you were to bear right instead, the dark, brooding rhythms of the techno genre emanate from the grandiose pyramid structure that was NeonGARDEN. 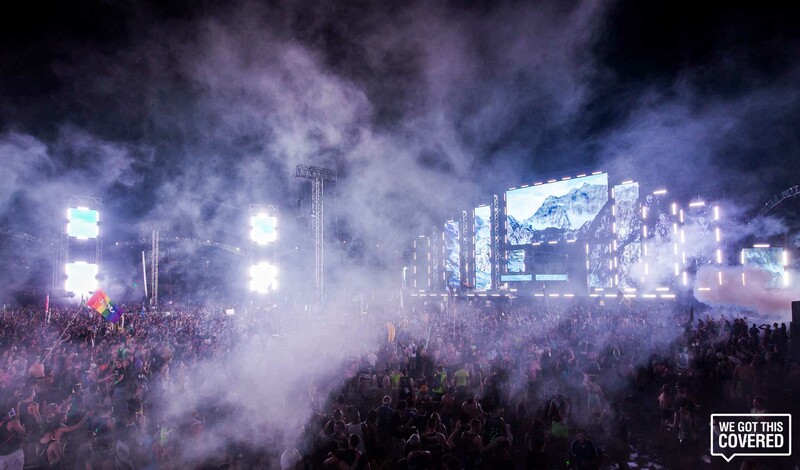 We’ve pointed out the growing popularity of techno in the past, and the sheer scale of this stage stood as a testament to its fans’ borderline religiosity. 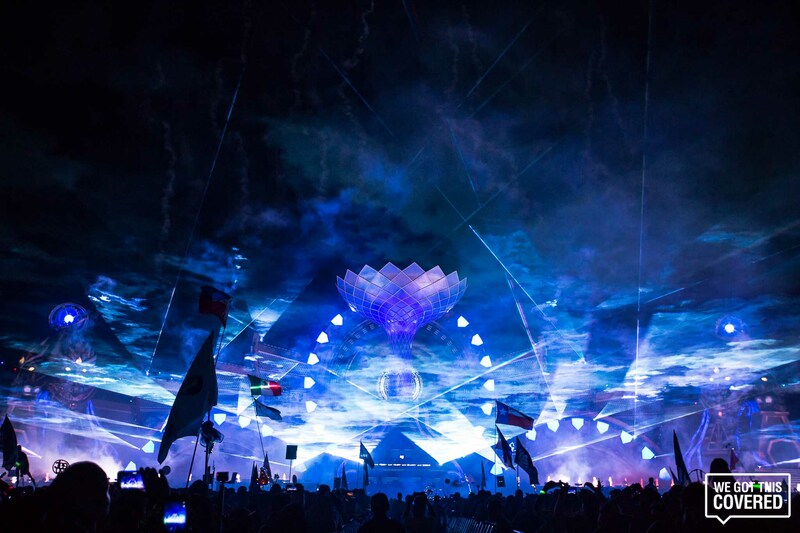 On Day 3, for instance, Adam Beyer curated a Drumcode lineup for the stage that, while not limited to artists signed to the label of its namesake, captured the “big room techno” sound of its releases via DJ sets by Chris Liebing, Richie Hawtin and Alan Fitzpatrick, to name a few. 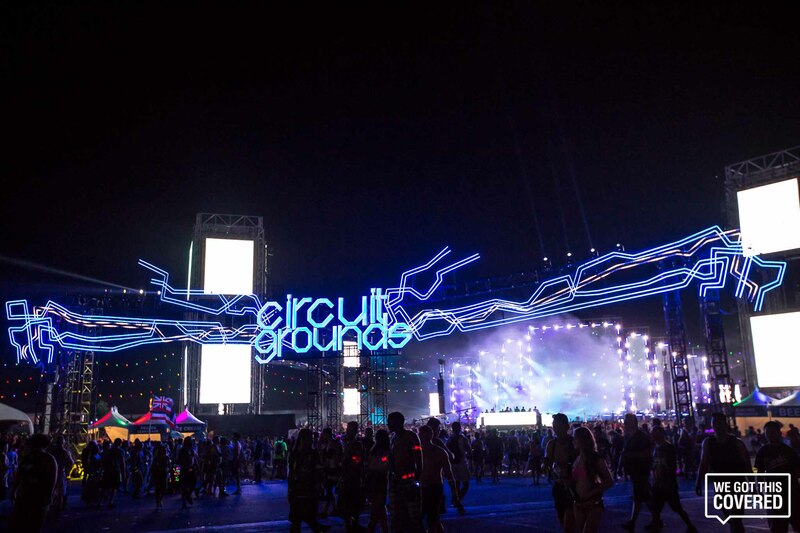 If you continued down the counterclockwise path around the speedway, you eventually found the massive LED screen-topped structures of the CircuitGROUNDS stage all around you. 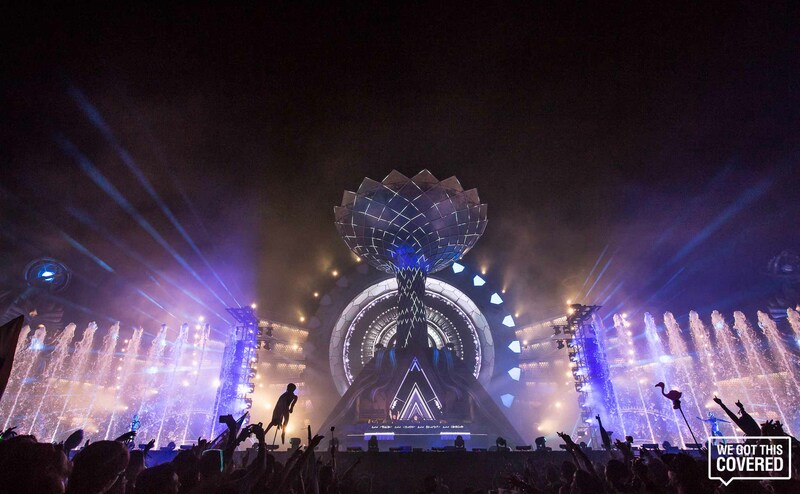 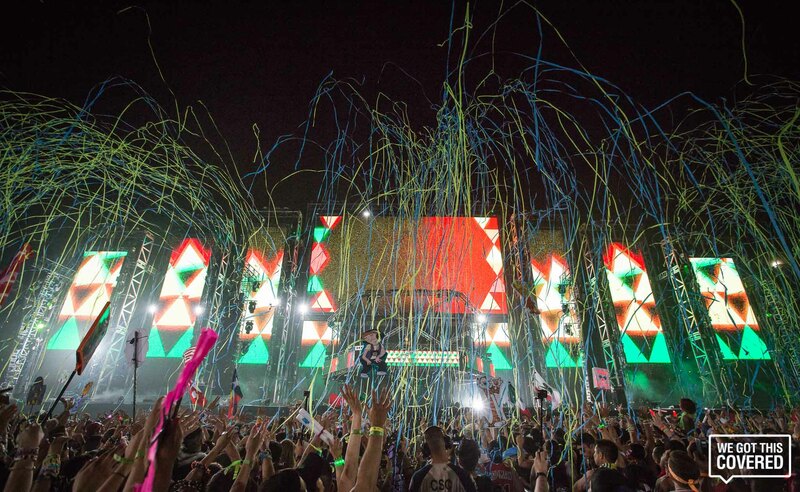 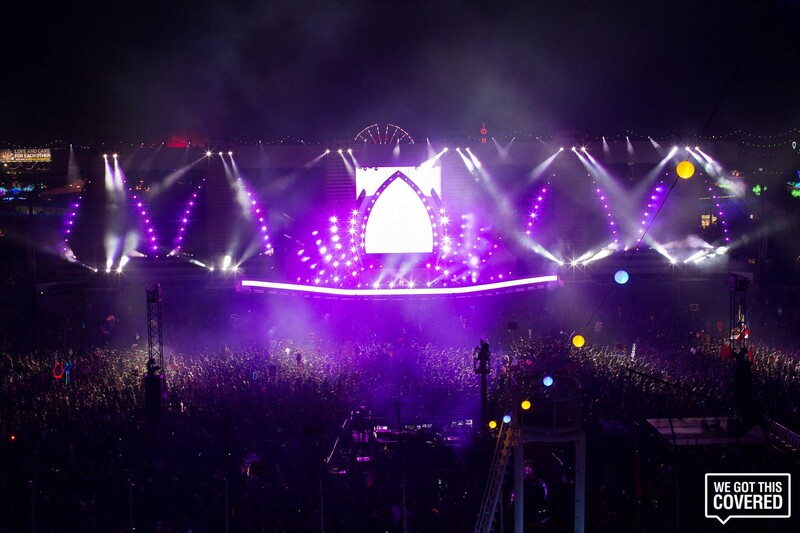 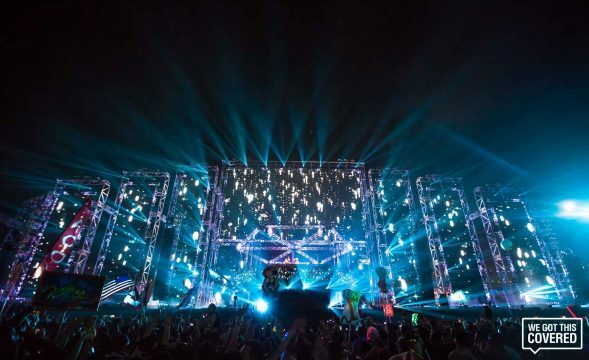 Where previous versions of the stage consisted of a tent-like canopy from which LED-paneled installations dropped down above the audience’s heads, the EDC 20 iteration basically doubled as a second main stage – and seeing as how it hosted acts like Party Favor, Adventure Club, Martin Garrix and Above & Beyond, it certainly had the big-name talent that would warrant its threefold increase in size. 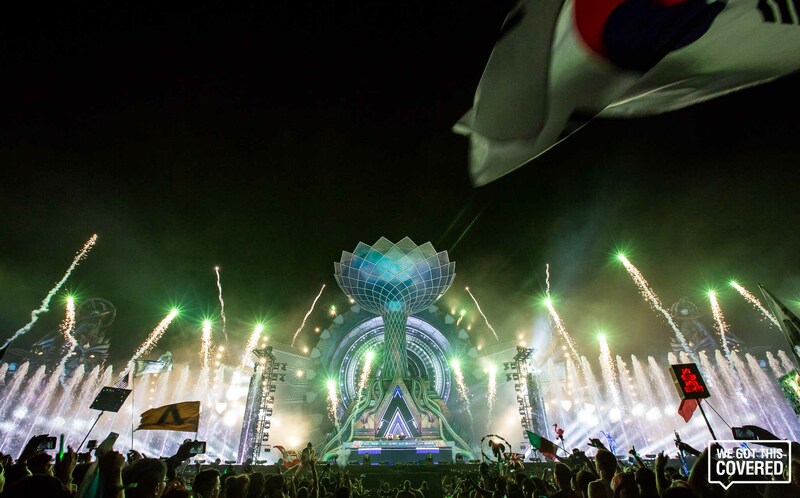 BassPOD played home to drum and bass, dubstep and trap artists, showcasing acts like Snails, Bad Company, NGHTMRE, Excision and Troyboi. 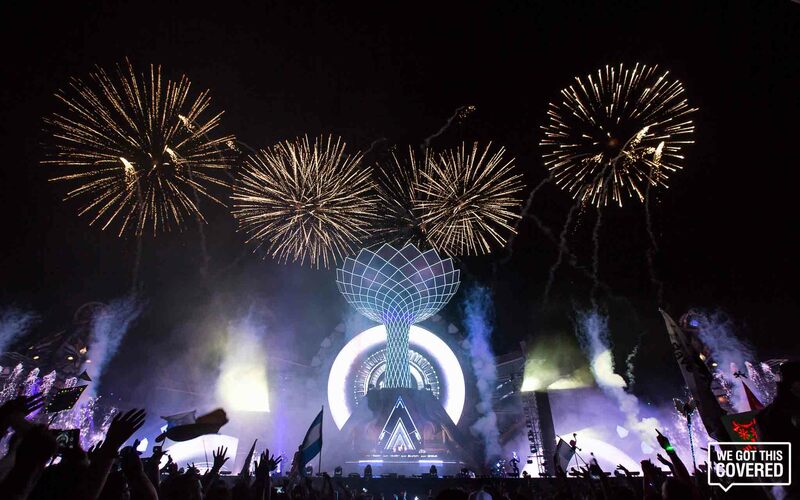 Perhaps the biggest production faux pas of the festival took place when one of the BassPOD structures, which resembled giant bass bins with cylindrical Xs, caught fire during drum and bass superstar Andy C’s set during Day 2. 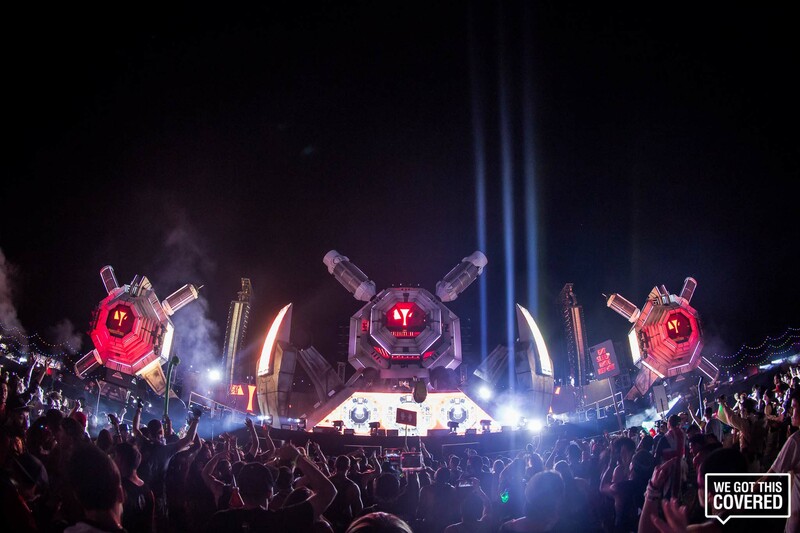 The post-apocalyptic motif of the WasteLAND stage, meanwhile, created a perfect ambience for hardstyle acts like LNY TNZ, Da Tweekaz and Lady Faith. 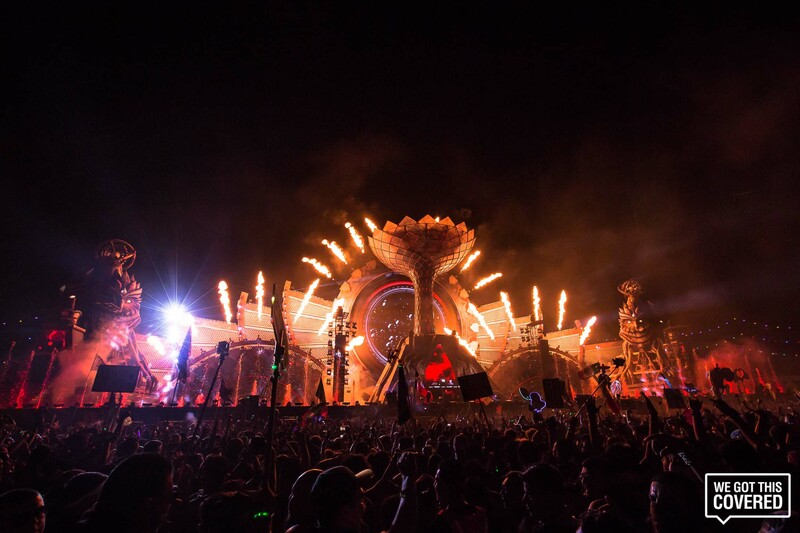 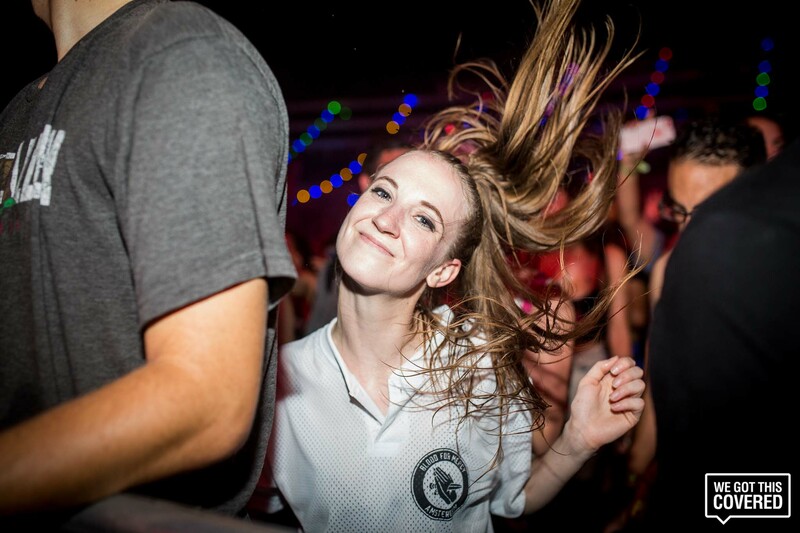 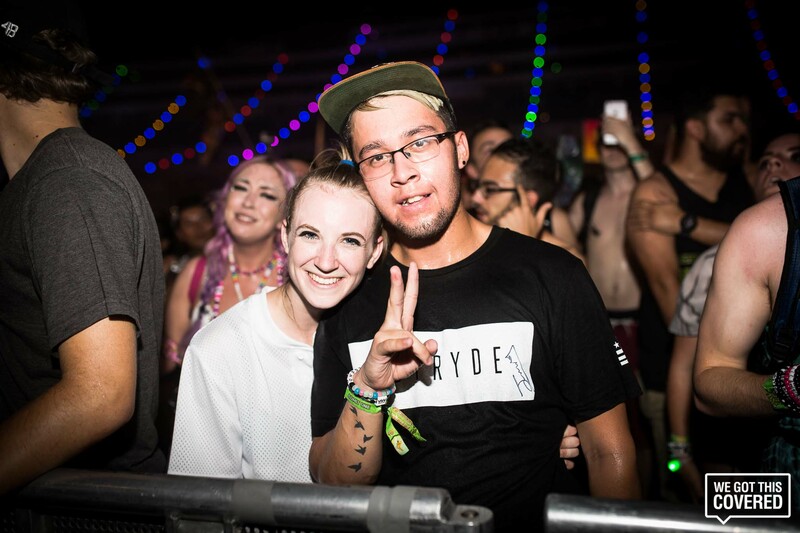 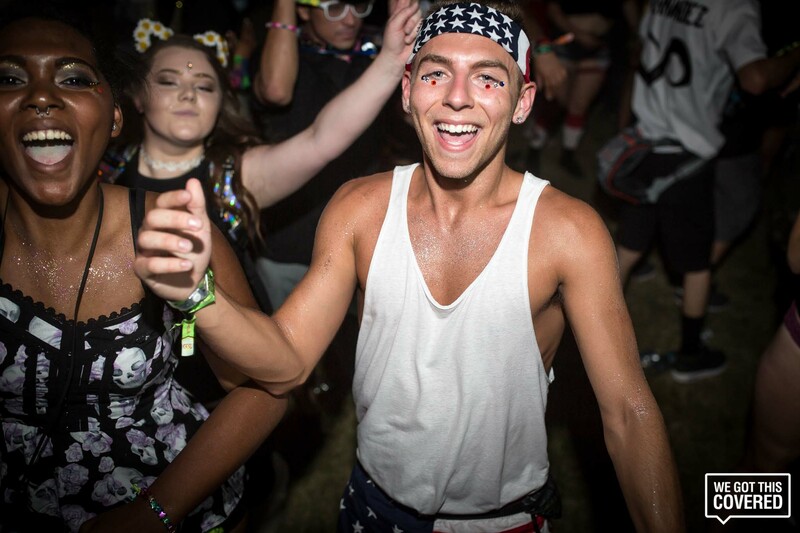 With consistently high-BPM bangers blaring from its massive sound array, WasteLAND became hallowed ground for the throngs of hardstyle fans in attendance.